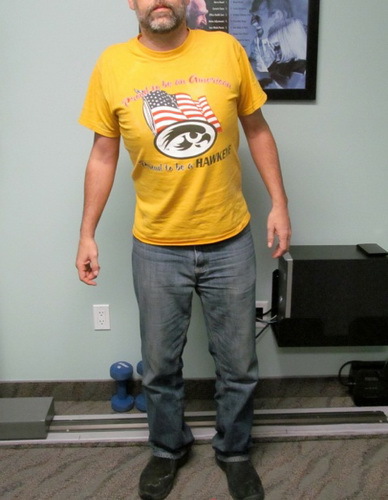 “A PICTURE IS WORTH A 1000 WORDS:” These are before and after photos of a patient with severe low back pain. 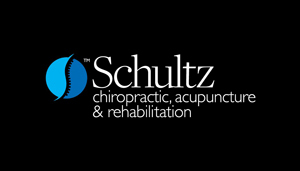 The photos were taken just minutes apart, before and after the adjustment with Dr. Schultz. 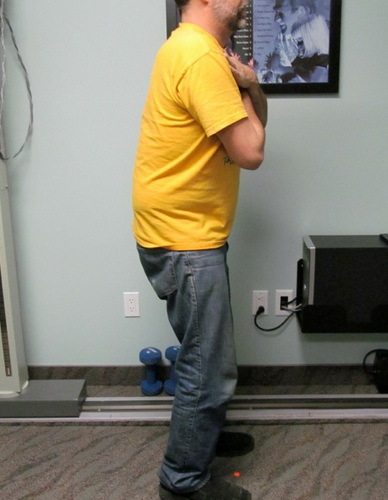 How the patient presented on the first visit: Antalgic compensation from a disc problem and a compressed low back nerve. 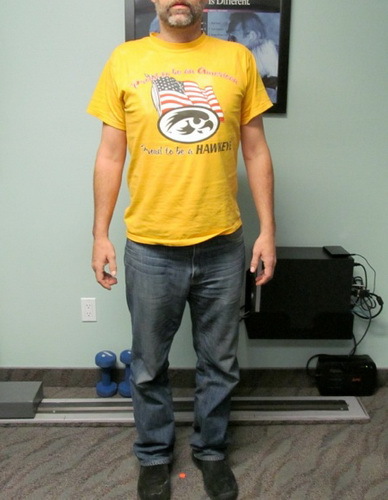 Within minutes after the first manual chiropractic adjustment with Dr. Alan Schultz. 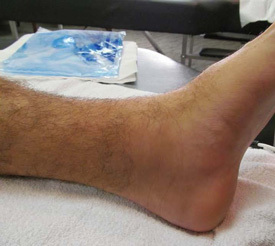 The images of of a football ankle sprain. 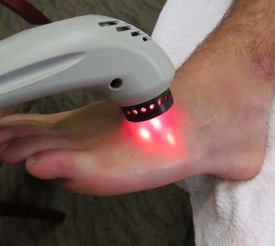 Cold Laser treatment along with V-Force Whole Body Vibration were used. 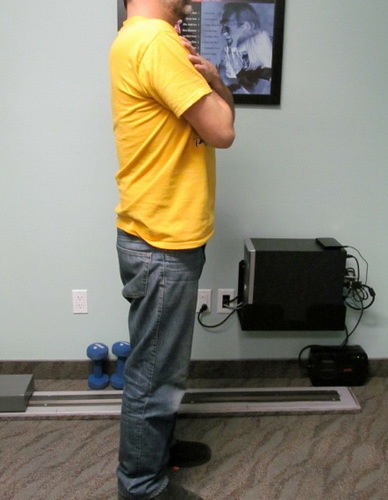 The patient was 90% improved in 7 days vs. the normal 6 week self healing time, returning the player back to the field to play.